Every so often, I find something particularly cool. This is one of those items, but I really don't know exactly its significance yet. 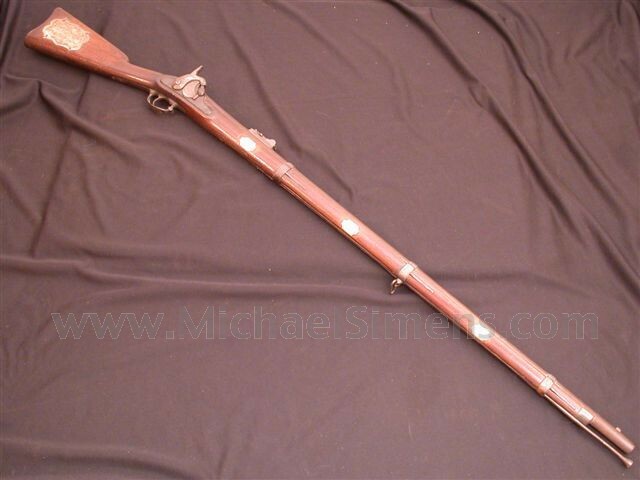 This is a Model 1855 Springfield Rifle-musket dated 1859. The gun has been specially embellished with German-silver inlays about the fore-end and the lock, hammer and barrel are silver plated which is now turned blue! There is a huge, wonderfull coin-silver inlay inlayed into each side of the stock. 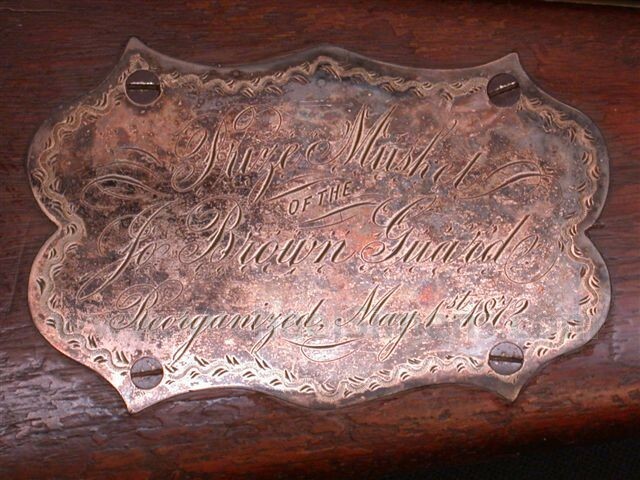 One plaque is inscribed, "Prize Musket of the Jo Brown Guard, Reorganized May 1, 1872". 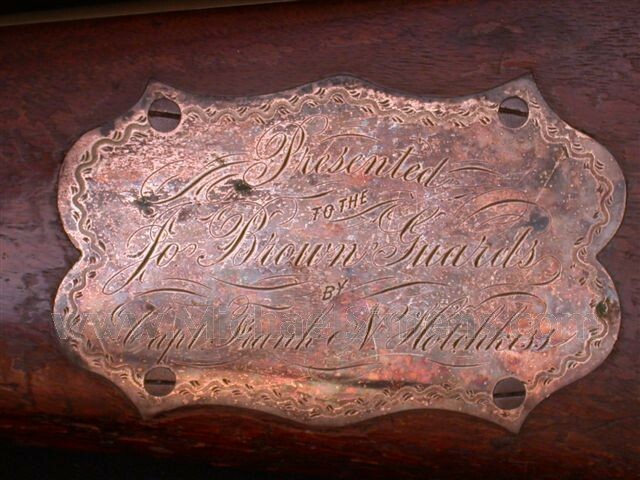 The other is inscribed, "Presented to the Jo Brown Guards by Capt. Frank N. Hotchkiss". The date and presentation obviously refer to the Jo Brown Guard of Georgia that saw much service for the Confederacy during the Civil War. 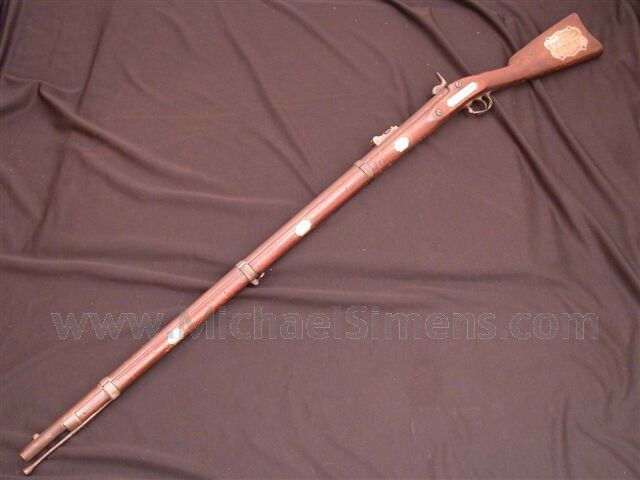 It was indeed re-organized in 1872 but there must be some more info out there somewhere concerning this rifle. I'd love to hear from anyone that may be able to shed some light on its presentation. If anyone wants to buy it in the meantime just give me a call. It's for sale at a reasonable price and I hope the undiscovered history of its presentation doubles its value for the buyer. I just need to move it.